The Director, Corporate Services Marketing will be responsible for communicating E*TRADE’s full range of services to participants in employee stock plans in order to drive engagement and business KPIs. The ideal candidate will have experience understanding the nuances of a B2B and B2C environment. S/he must have proven experience in translating business strategy into program-level marketing strategy and initiatives that drive results: assess new opportunities, evaluate existing initiatives and champion efforts that drive positive ROI for the division. This position has a high degree of cross functional interaction. S/he partners closely with other members of the marketing organization, ETCS and retail brokerage organization. The ideal candidate should be self-motivated, have the ability to work both independently and in teams, and balance a workload that consists of detail-oriented initiatives as well as strategic roadmap development. Candidate must be comfortable in a fast-paced environment and have the capability to pivot as needed when market, competitive and / or business needs dictate. This position requires someone that has a passion for finding innovative and creative marketing solutions to assist in driving stock plan proceeds retention and retail revenue growth. Design, build and deliver the strategy and development of marketing program initiatives to drive stock plan participant engagement including cross-sell and retention initiatives. 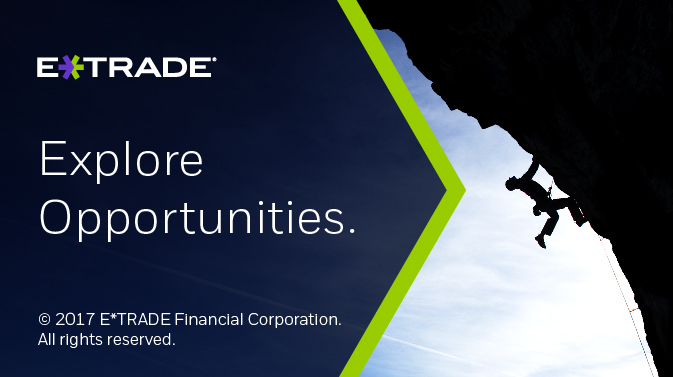 Create robust value proposition messaging and compelling positioning for the stock plan and retail investing solutions provided by E*TRADE. Define and execute stock plan marketing initiatives focused on deepening retail engagement and proceeds retention. Address the needs of targeted segments. Optimize campaigns and messaging across channels, with a focus on email and digital platforms. Ensure consistency of messages in all communications, both internal and external. Lead cross-functional teams in the development of integrated marketing programs and manage project schedules and budget. Make data driven recommendations based on research, the competitive marketplace, industry best practices and program / initiative performance. Work cross functionally to ensure the Corporate Services business priorities are incorporated, where appropriate, into retail-led initiatives such as product cross-sell and education events. Work with creative services team to deliver relevant messages and responsive creative. Partner with internal teams to help influence the strategic marketing agenda by identifying growth possibilities and opportunities to bring competitively differentiated experiences to market.